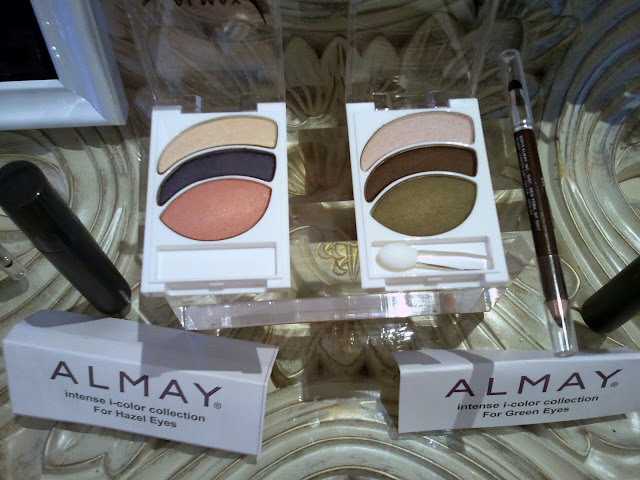 Last week I was lucky enough to be invited as Sheila's +1 to the exclusive Almay Summer makeup preview, which was held at a charming tea house tucked away in the heart of downtown. Situated in a Victorian-era house and surrounded by gorgeous Prince Albert teacups, colorful macarons, warm crumpets and delicate smoked salmon sandwiches, I felt like I was surrounded in a giddy cloud of girliness. As always, the wonderful ladies of Almay know how to host an amazing party and the entire store was split into various stations with attentive hosts eager to tell you about the various products arranged on each table. 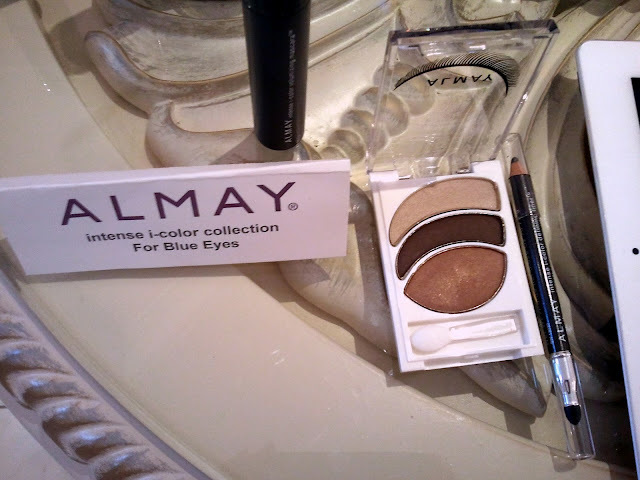 There are a ton of new products coming out to Almay this season, from an amazing CC cream, to a rainbow of gorgeous lip colors, shadows, liners and mascaras. Like every Almay product, they are all formulated for sensitive skin and designed with the modern, no-fuss woman in mind. 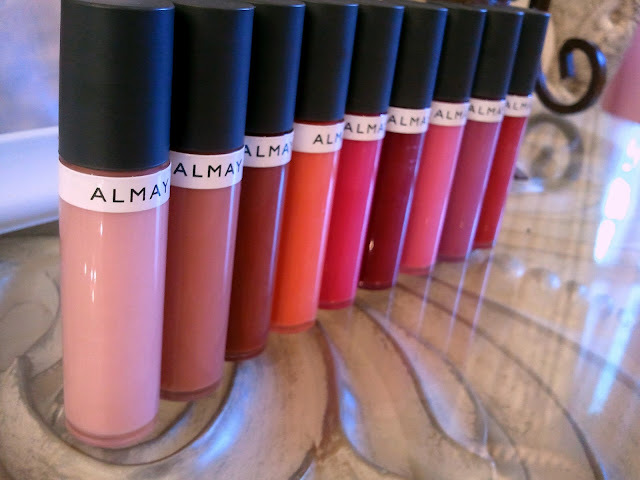 These new Color + Care liquid lip balms are part gloss, part moisturizing lip balm. Available in 9 shades, these glosses contain hydrating avocado oil and vitamin E. Both Sheila and I tried on the purple-ish shade (second from the right) and found it looked natural and very different on each of our lips - on Sheila, it was a natural but better, color, while on me, the purple showed up much more in a mauve-pink tone. Although not exactly new, Almay's Intense i-color shadows are perennial favourites with their specially customized palettes designed to make your eye color pop. I've always wondered why brown eye palettes always had purples as I'm much more of a brown shadow fan, but after seeing the Almay MUA work her magic on Sheila with the purples, I'm convinced to try purple for daytime again! Be sure to check out all these products in your local drugstore this summer! how awesome! i love going to things like this. OOO I cannot wait for the liquid lip balms to debut in stores! Why aren't there any events like these where I'm from??? Maybe that's a sign I should move. :D Those liquid balms look really good, I like that orange one! !